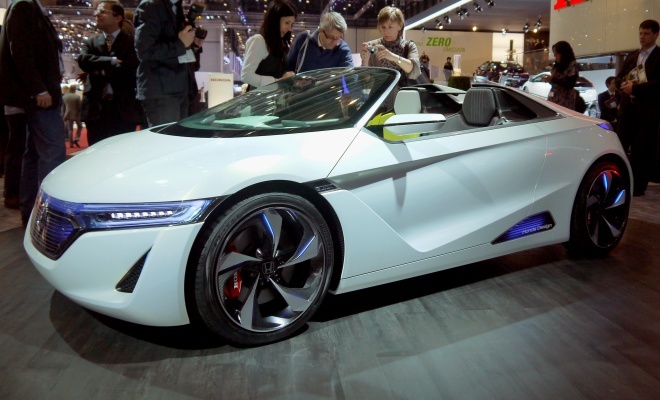 It didn’t debut at the Geneva Motor Show, but Honda’s pocket-sized, battery-powered roadster attracted lots of interest at the Swiss show nonetheless. First seen at the Tokyo show in December, the EV-Ster is just 357cm long – or about half a metre shorter than Honda’s CR-Z hybrid coupe, which itself seems barely bigger than a shoe. The EV-Ster is slightly too long and marginally too wide to slot neatly within the Japanese Kei car regulations, but it is just a concept model so in this instance, size really doesn’t matter. If the little electric car were to be put into production, substantial changes would be needed as the body most likely would no longer be made of carbon fibre. 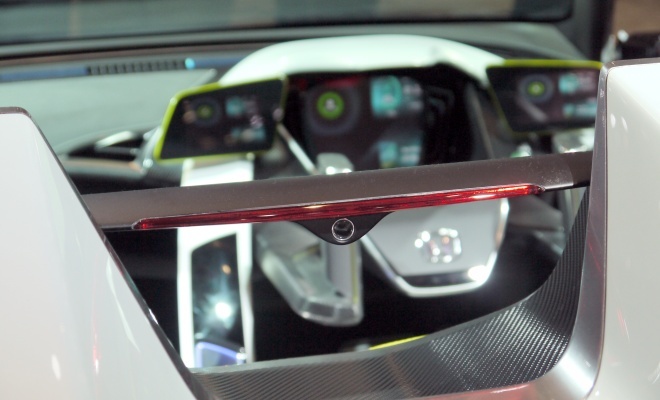 And it might need a steering wheel rather than twin joysticks, even if Honda does think its pair of control levers better enables “the thorough pursuit of the joy of driving”. The concept’s top speed is quoted as just shy of 100mph at 160km/h, and acceleration would be brisk if not supercar quick, taking about five seconds to hit 60km/h (about 37mph). The car’s 10kWh lithium-ion battery pack is intended to provide 100 miles of autonomy, with the EV-Ster’s small size and light weight aiming to eke out a Nissan Leaf’s range from less than half the Leaf’s 24kWh capacity. Drive is sent to the EV-Ster’s rear wheels, with the battery’s peak output given as 58kW (78bhp). The figures are largely irrelevant, of course, because the EV-Ster is not a car any of us will get to drive. 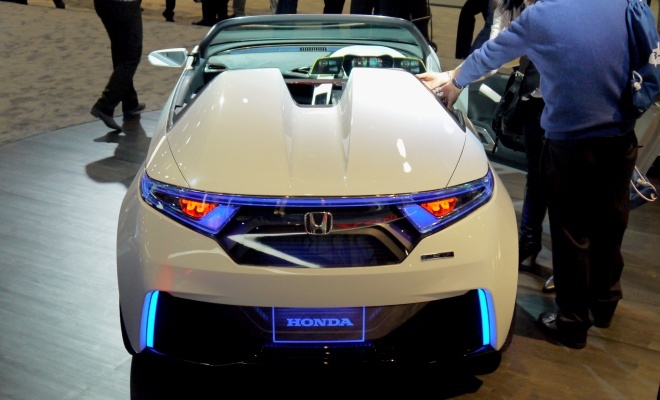 It’s primarily a styling exercise, intended to showcase Honda’s design direction and remind us all that it produces sporting cars as well as more humdrum hatchbacks and hybrids. To me, the little electric car does the job with flair, extending the theme of current designs like the CR-Z and new Civic while recalling previous favourites like the tiny Honda Beat roadster. The design combines a scattering of organic curves and swelling contours with sharp geometric shapes and straight cutlines. The front lamp and grille shapes are nicely echoed at the rear, and the details are simply terrific. 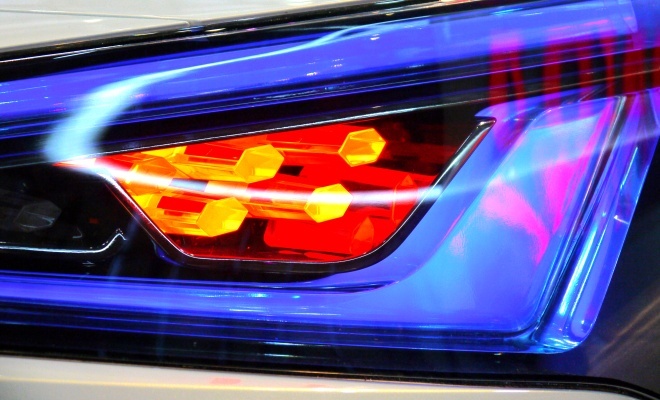 I loved the intricate rear light clusters, as well as the thin carbon spar linking the twin humps, carrying the wing-like third brake light and a tiny rear-view camera. While the EV-Ster seemed to attract quite a throng in Geneva, not everyone agrees that the EV-Ster is an outstanding piece of design: well-informed online magazine Car Design News called it “unnecessarily overwrought”. Fortunately we can all make up our own minds about such things. To me, it looks lovely. And I want one.